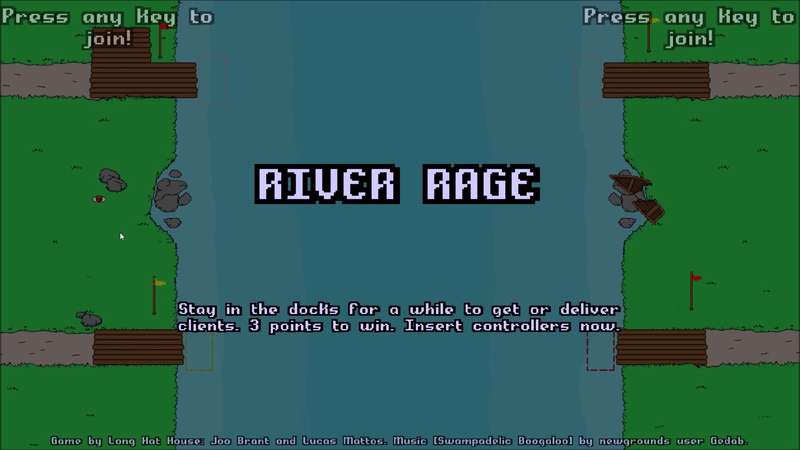 River Rage: Boat handling fun local party game. SB Games Jam I entry and winner. Boat handling fun local party game. SB Games Jam I entry and winner. Oh no! The bridge just fell down again! Or I may say 'Oh Yes'? Your boat taxi business is live again! Now try and deliver more people to the other side than your friends. Good thing you didn't forgot to take those boat classes, right? Right!? 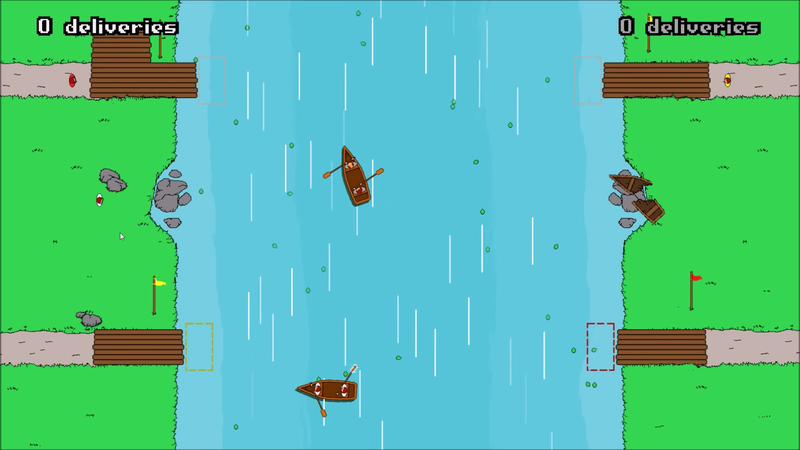 This game was our entry of the first edition of the SBGames Jam, and we are proud to say we were winners. The other teams did fantastic jobs in the jam, we were really surprised! Honestly maybe the best jam we ever did. Four controllers simultaneously. Each controller can be shared between two people for a 8-player party game! Different "analogic sticks for paddles" control that is great for parties. Each paddle in the boat is connected to a analogic stick. To go forward or back, you have to keep circling the sticks in opposite directions, and circle them in the same direction for a turn. Charming graphics and sounds created in a rush in 48 hours. Only works with controllers (tested with Xbox360 and PS3 controllers). Plug them in and you're good to go!